A while ago, I was contacted by a publishing company through instagram, and asked to take a look at two of their recent picture book releases. This is what I love about social media, it connects people and organisations with common interests, who may never have crossed paths, and, this particular instance of it, I’m very grateful for, as I now have two beautiful books to share with you (The Tigon and the Liger will be coming soon to the blog!). 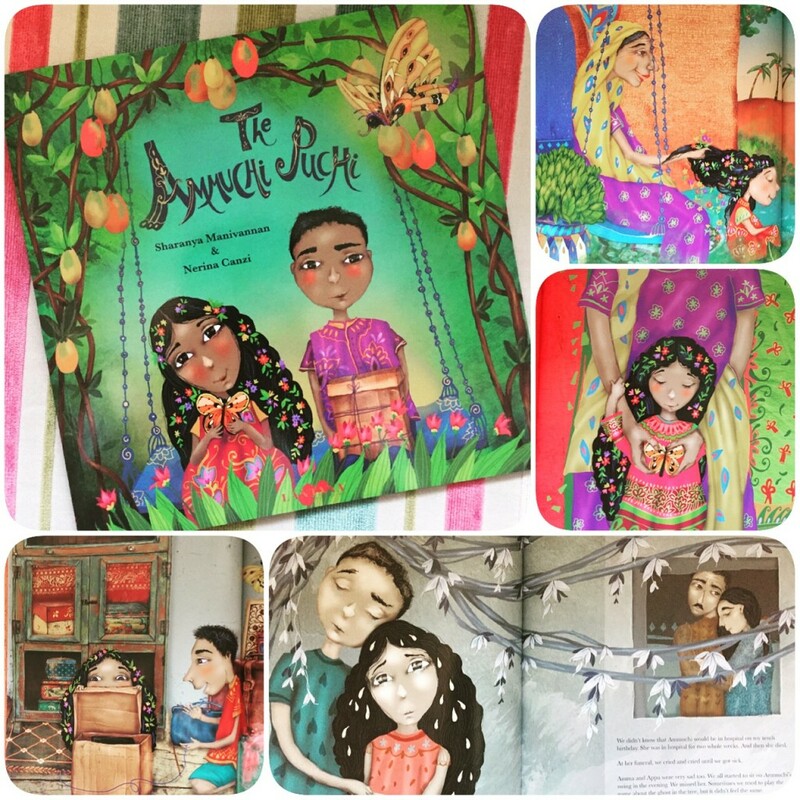 The first, however, is The Ammuchi Puchi, written by Sharanya Manivannan, illustrated by Nerina Canzi and published by Lantana Publishing. Ammuchi is a grandmother to her beloved grandchildren Aditya and Anjali. This story is told from the point of view of nearly 10 year old Aditya. We find out about this vivacious, joyous grandmother, what she brought to their lives and their developing relationship as the children grow. Then, we come to the real purpose of this book,when Ammuchi sadly passes away and leaves two sensitive children struggling to cope with the situation. One day a butterfly lands on Anjali, reminding her of the brooch her Grandmother gifted to her before she died, and suddenly they begin to feel their Grandmother around them, begin to find a way to come to terms with Ammuchi’s death and life without their glorious Grandmother. There’s so much to say about this book, I’m not even quite sure where to start. Firstly, Lantana Publishing is a company committed to producing diverse and multicultural picture books all children can enjoy. The Ammuchi Puchi is a wonderful example of this. 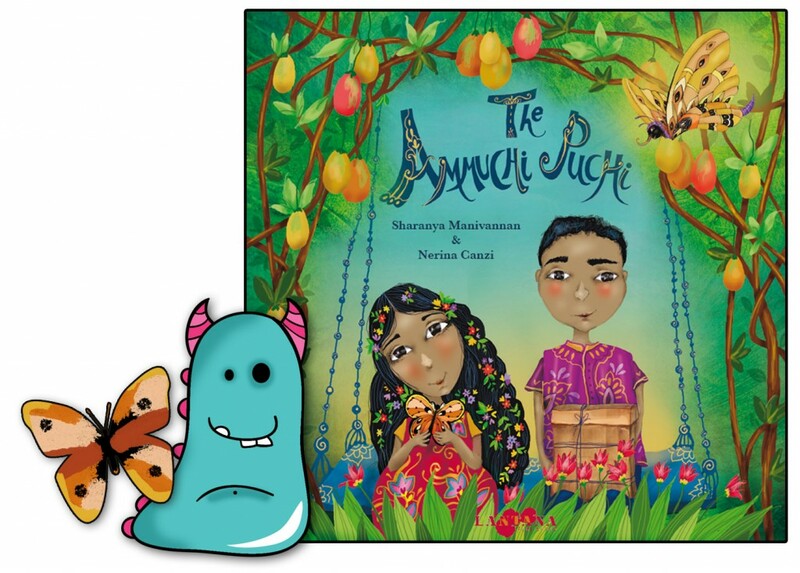 The setting is India, the book is representing a different culture and yet the story is completely accessible and identifiable to any child regardless of background. 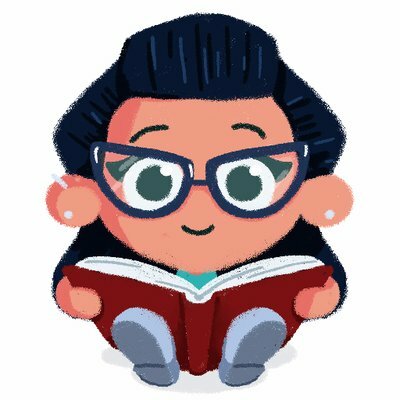 We have many Indian families who use the library which I work in, and in truth, there is not a huge amount of picture books that feature India or Indian families. The Ammuchi Puchi embraces a stunning county, its people and the place. There is an ultimately accessible and warm feel to the book that will allow any children to respond and identify with the children here. This is what, Sharanya, Nerinna and Lantana Publishing accomplish exceptionally well right here. Representing a multicultural society while still showing that we are all the same, with the same day to day feelings and situations to cope with. Sharanya Manivannan has done a wonderful job writing this story. It reads and flows so nicely, it’s a great one to read out loud. It’s more wordy than a standard picture book, which is a brilliant thing because it enables you to truly engage with the characters, to fall in love with them and grieve along with them. I was genuinely very emotional by the end of this book. I loved these children and their Grandmother so much, it’s a very important relationship exemplified with emotion and heart. The story itself is artfully done, we learn about a strong, sparky, joyful and creative female role model in Ammuchi, who adores her Grandchildren, inspires them and ignites their imaginations! It makes it all the more heartbreaking when she passes away. But, although filled with deep sadness, and this is a fact of life that we have to cope with when anyone we care about passes away, it is also a celebration of a beautiful person and a life lived with love and enthusiasm. Sharanya uses the butterfly as a way of comforting the children in this story. Many people I’ve spoken to in the past have had mixed feelings about people coming back as animals. However, where this book is SO clever, is that Ammuchi has always encouraged the children to use their imagination, to see what may or may not really be there. To visualise dragons and ghosts, to believe what they want to believe. The book doesn’t confirm or deny whether Ammuchi does actually come back as a butterfly (puchi by the way means “insect”), it is just used as a comfort for the children to allow them to move on. You are left to make your own mind up to reflect what your own beliefs may be. It’s lovely and incredibly cleverly and sensitively excecuted. The illustrations by Nerina Canzi work hand in hand with Sharanya’s gorgeous writing to allow the deep emotion in this story to leap off the page. The colours are vibrant and vivid, just like Ammuchi and her Grandchildren. When Ammuchi passes away, for one stunningly emotive spread, the colours mute, turn grey and the illustration sparse. It will honestly break your heart. The sadness is tangible here. These visuals, along with the story all help a child understand how they are feeling, and how others feel in the same situation, that it’s okay to be sad, it’s okay to hurt. Where Nerina has excelled with the illustrations, is in the facial expressions. They eyes are the window to our souls, and my goodness, these illustrations capture that amazingly well. The transition through emotions from cheekiness (in Ammuchi), love, sorrow to excitement and so much more. Everything is show here on the children’s faces and those of their family too. Expertly done! And my favourite aspect of the illustrations? The flowers in Anjali’s hair, they change with the story, representing Anjali’s feelings, which again, all adds to the emotion here, but they also just look so beautiful! Even without the deep emotion of this story, it’s just gorgeous to look at. So, to sum up, the aim of The Ammuchi Puchi .. to enable sensitive children to cope with loss, in an engaging, delightfully visual and hopeful way. But even more importantly, this is a celebration of life, love and family. A traditional story feel, bursting with bright colours and emotion set to the backdrop of beautiful India. One for every bookshelf and library. The Ammuchi Puchi is available now from all good book shops and libraries. Thank you for reading this Book Monster review! A lovely review and what a find in Lantana Publishing! Thanks for sharing and will spread the word! 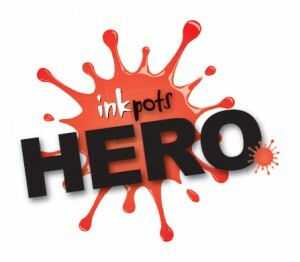 Previous Post An ode to art doers and art viewers.